Well, this is something that we have never expected. Yeah I was thinking that Mr.Terry was kidding everyone when he said that the next version of Windows will be called Windows 10 instead of Windows 9. But he was pretty sure on what he was saying and he went to talk about the new features that technical preview will bring tomorrow. 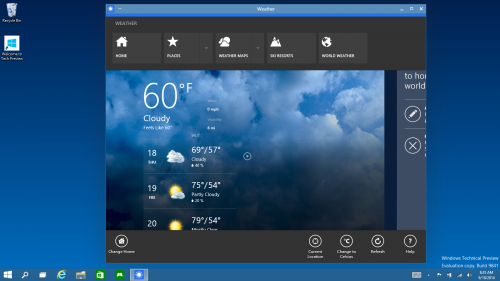 The Start menu looks very similar to the one showed off in build and it pretty much does the same work as it did before,you can perform a universal search right from the start menu or using the search button from the taskbar which comes handy for convertible users. When I talk about the convertibles, I get the point that Microsoft has performed a study on how users interact with convertibles and they're calling the changes they made based on the study as "Continuum", A UI that smartly adapts to how it's being used. 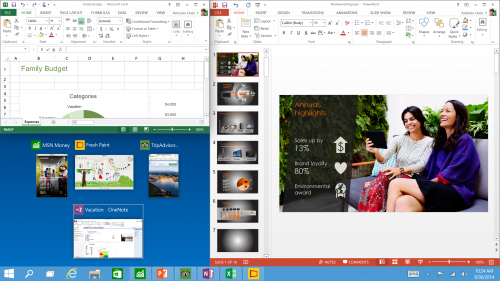 Start screen 2.0 or Continuum ! The next major change is that you can run Apps in the desktop just like how the traditional apps work.They can be snapped just like how you do in Windows 7. The task view button is a new arrival in Windows 10 and it lets you to see the apps that you are running and manage them easily in a single place. Snapping has never been so much productive, in Windows 10 you snap upto 4 apps in the desktop and work with multiple apps at the same time. 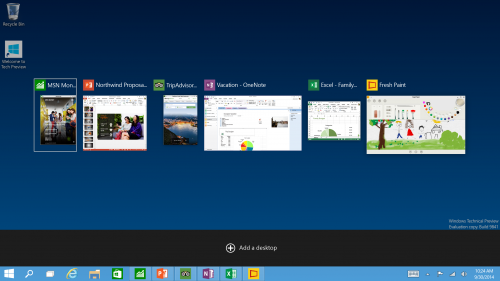 As expected, Windows 10 brings Virtual Desktops in action and they are quite useful when you are doing both home and office work in the same PC. You can keep things neat and separated in their own desktops. 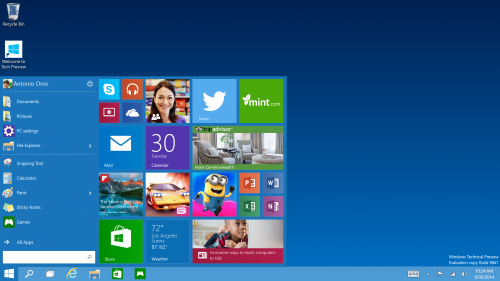 Watch the video below to get a glimpse on how things work in Windows 10. Here are some interesting things that happened in the announcement of Windows 10 "If you look at Windows 8 users on touch devices, they have higher satisfaction than those on Windows 7 devices. 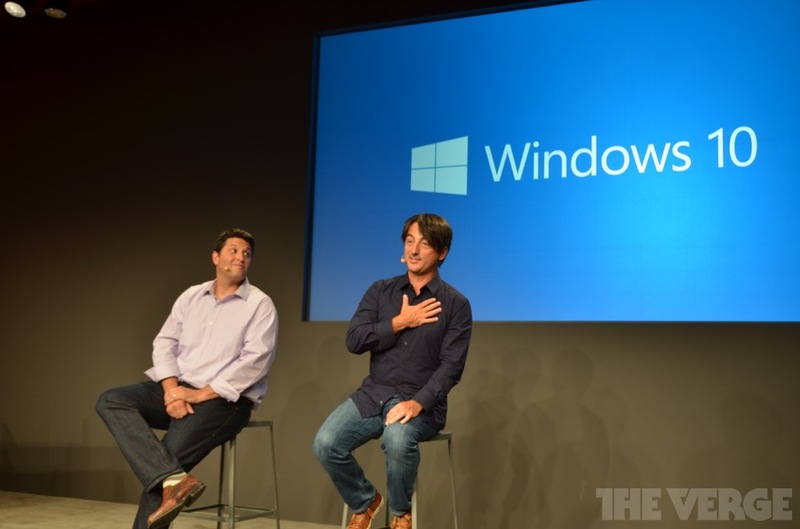 Windows 7 users have higher satisfaction on mouse and keyboard devices than Windows 8." "We want all these Windows 7 users to have the sentiment that yesterday they were driving a first-generation Prius... and now with Windows 10 it's like a Tesla." 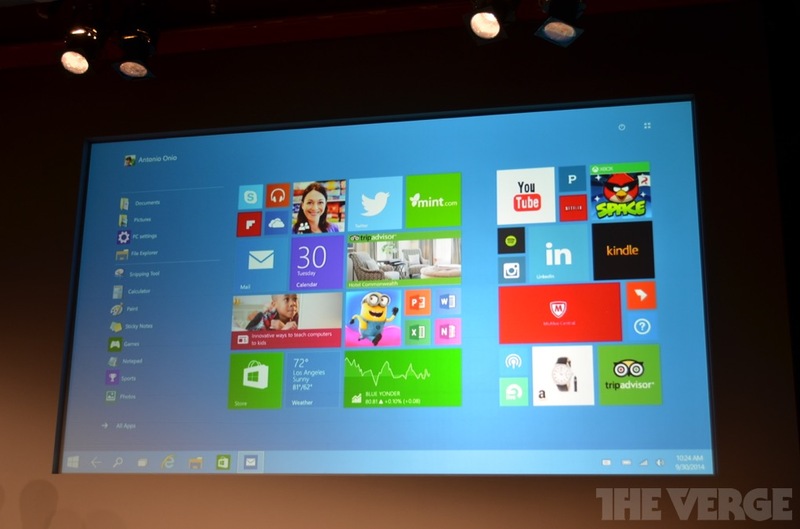 "In Windows 8 when users launched a modern app, it sort of had a different environment." Q: Any incentive for Windows 7 and Windows XP users to upgrade? Q: You mentioned screens ranging from 4 inches to 80 inches. 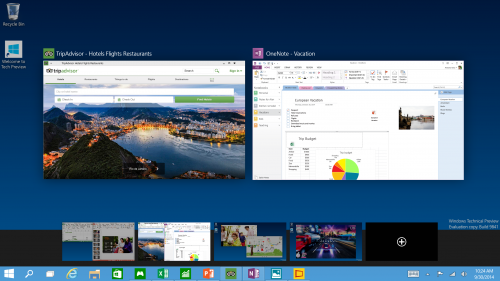 Is Windows 10 the next version of the phone operating system too? A: Yes. You can read more at The Verge and the official blog post. 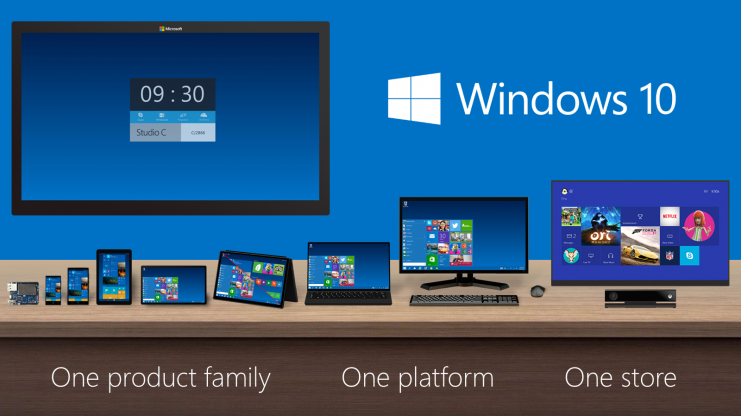 The preview site is on and check back soon to get Windows 10 technical preview !